Hamilton, NJ – (May 3, 2017) – Tucker transforms play to new heights with its new Kite-A Pult kite flying system. 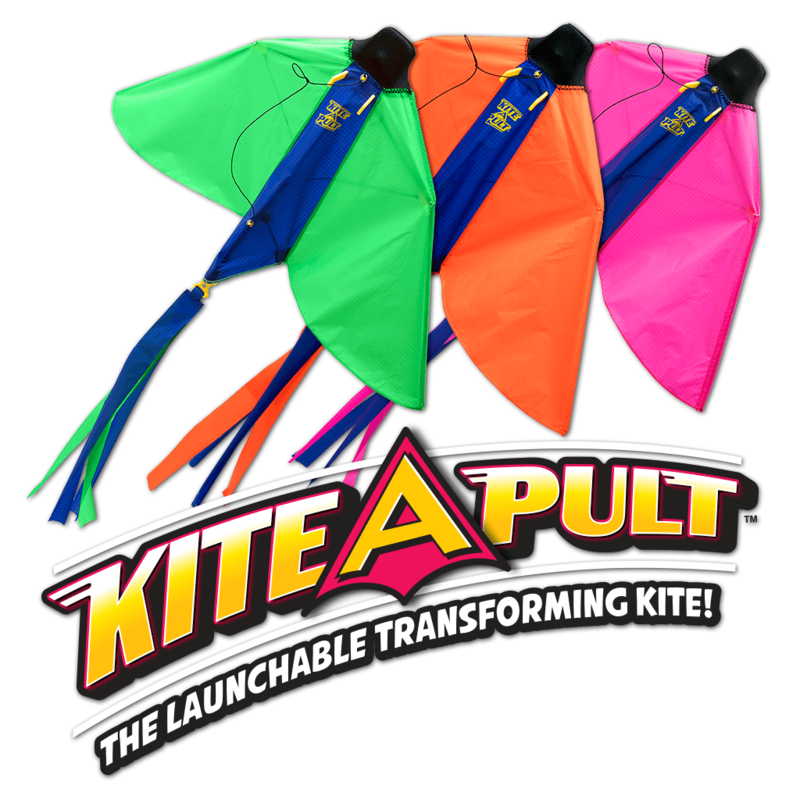 The Kite-A-Pult (MSRP $19.99 for ages 10+) is a self-launching kite flying system! No more running around in circles or needing another person’s help to get your kite off the ground. The new Kite-A-Pult launches a kite in the sky and you’ll be flying it up, up and away in no time. The portable Kite-A-Pult hand-launcher makes it easy to pull back then rocket the kite into the air to catch the wind. Not only is the Kite-A-Pult the most innovative and exciting kite out there, but it also doubles as a Glider! Its two toys in one and comes in three super colorful designs. The new Kite-A-Pult joins the full line of Tucker Toys, which already includes the top selling Phlat Ball®, E-Z Grip® (Play Ball, Junior, Football and Soccer Ball), Crush-It!® Bat, Trick Shot Sports, Zoingo Boingo® Pogo, and ZB Freestyle® Board.